The Adjusted NICS (National Instant Criminal Background) Check System figures for April, 2014 are 1,031,959 checks, the 2nd highest on record in the 17-year history of the program. In the seemingly ever-increasing rise in gun sales under the current administration, the statistics released by the FBI put the number of checks performed in August of 2015 at 1,745,410, which is the highest on record. The gun industry’s trade group, the National Shooting Sports Federation, has an adjusted figure that omits CCW applications. A final figure of 1,031,959 was reached, which was an increase of 4.3 percent compared to August, 2014. The final figure was narrowly edged out by 2012 data. American women continue to increase their right to keep and bear arms for the purpose of self-defense and sport shooting. Southside Guns and Ammo has always been female friendly and supports that with great personal service and patience when women are shopping for a firearm or other accessories. 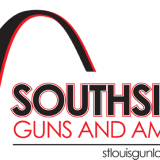 Southside Guns and Ammo is St Louis' Premiere Gun Store, and Southside Guns and Ammo has the best firearm collection in St Louis, including handguns, rifles, and shotguns. Visit us at 8101 Gravois Road in St.Louis, Missouri or call 314-353-1900 with any questions. Visit http://stlouisgunsales.com to learn more about St. Louis' best gun shop, Southside Guns and Ammo. Southside Guns and Ammo and Sharpshooter St. Louis have donated an AR-15 Rifle and full membership for a raffle to benefit a terminally ill Police Officer. Southside Guns Firearm Purchases Get a Free Range Day At Sharpshooters! Southside Guns and Ammo, the firearm store for Southside Jewelry and Loan that shares a parking lot with Sharpshooters Indoor Shooting Range, has a terrific offer! Conceal and Carry (CCW) Classes Available at Sharpshooters! Southside Guns and ammo, located next door to Sharpshooter St Louis, the largest indoor gun range in St. Louis. The gun store is the ideal place to begin shopping for the perfect firearm, that, once purchased, can be taken next door to the range to try out! The selection at Southside Guns and Ammo is only surpassed by the quality of the staff and the knowledge they have for guns and ammo. They are the most experienced, friendly staff in town, and have years of experience with weapons and ammunition. Next door at Sharpshooters, they are holding Conceal and Carry Weapon Permit (CCW) Classes, held by former law-enforcement members. They have a flexible class schedule, offering multiple dates and times. These offer a Combination of Classes and Range Time, your Firearms Certification, an Complimentary Lunch at the Pit and Grill, and a Course Completion Certificate. The cost is $135 for non-members, and %115 for members of the range. A $35 Deposit is required for any appointment, so call to reserve your spot! Southside Guns and Ammo has the largest selection of any firearm store in the St. Louis area. However, this isn't the only reason why smart gun shoppers come there first. Just having things in stock just isn't enough to make it worthwhile to stop in a store. The other reason to stop in is the impressive staff that Southside has put together, giving them the knowledge and personality that makes shopping there fun and informative. The staff draws on years of experience to match each shopper with the firearm that they should go home with, seeing the chemistry between person and gun that many stores don't. Finding the perfect gun for a shopper or helping select one for a new customer is what they do best. And what they don't have in stock, they can order for you from their extensive distribution network. St.Louis Gun Loans is the premier lender on all firearms in the St.Louis Metro area. It's at this time our store and staff makes lasting customers forever. Special note should be made that we sell over 40 different brands and styles of new firearms, which keeps us right up to date on all current prices! We service Webster, Kirkwood, Sunset Hills, Oakville, Fenton, South County, Crestwood, Shrewsberry, and Lemay. Southside Guns and Ammo isn't just the St. Louis area's premiere gun store, with the lowest prices on guns and ammo available. It's also home to a highly trained staff, who are prepared to answer every question you have about pistols, rifles, shotguns, long guns, and all of the associated accessories (scopes, lights, cases, carry straps, etc) and ammunition. They will give you the information that you need to purchase the weapon that's right for you and your family, and not just the one you may think looks cool. Southside Guns and Ammo Offers Online Firearms Browsing! Rifles and Shotguns, a pioneer’s best friend. New Website Redesign For stlouisgunsales.com! Southside Guns and Ammo has redesigned their website with new, innovative features. Gun Loans Through Southside Guns! FFL Loans are only $35, and stay tuned for more information about Sharpshooter Indoor Shooting Range.